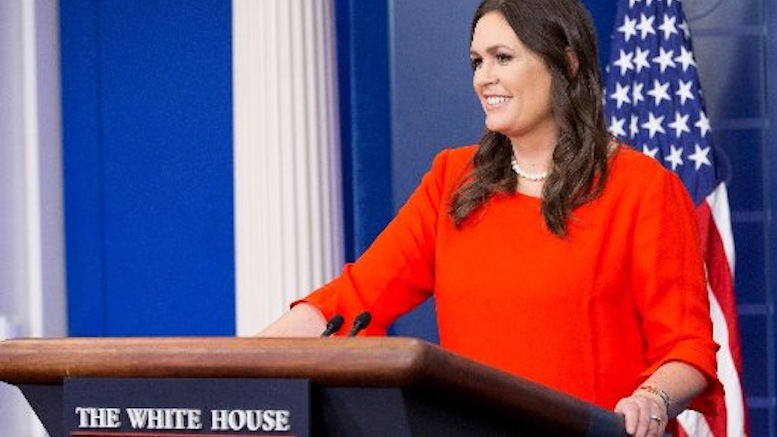 Following her admission that she incorrectly stated black unemployment figures, White House Press Secretary Sarah Sanders has committed herself to correcting all her other untruths in a 10,000 hour press conference to begin at noon tomorrow. Those in attendance are advised to bring multiple changes of clothing, a cot or a sleeping bag, and enough food to keep themselves nourished throughout the duration of the truth-telling session which is set to last just under one year and two months. There is also the very real possibility it could go significantly longer, especially if Sanders chooses to correct false statements made during the 2016 campaign as well. On the plus side, she joked, that would mean anyone with a newborn would get to skip the terrible twos. Update: The conference is now cancelled after it was revealed that Sanders’s pledge to correct all her previous untruths was in fact just another lie. Be the first to comment on "Sarah Sanders Schedules 10,000 Hour Press Conference To Correct Inaccurate Claims"